Moving to Gibraltar - Compare International Movers & Save up to 70% ! Gibraltar is a small British overseas territory in the southern of Spain. The total size of Gibraltar is 6,8 square kilometers and has a population 30,000 people. The major landmark of Gibraltar is the Rock of Gibraltar where you can find the only colony of wild apes in Europe. The apes are protected very well because of the myth that if the monkeys ever leave, so will the British. Preparation is very important step in a long journey. It is useful to have a little information about Moving to Gibraltar. Most of Gibraltars economy is claimed by the British military with the navy dockyard. However, tourism is also a big part of the economy of Gibraltar. Most people are coming to Gibraltar for the Rock of Gibraltar where a apes living and for shopping. Gibraltar is a VAT free country so many people are coming from destinations in Spain to visit the popular shops like Marks & Spencer and Tommy Hilfiger. Intlmovers is a quick and easy way of finding and comparing international moving companies that can help you with your relocation to Gibraltar. 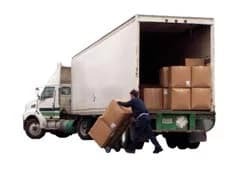 By using Intlmovers you save both time and money, because Intlmovers allows you to compare international moving quotes from op to six experienced moving companies at once without any obligation. Complete the easy request form and receive quotes directly for international moves to Gibraltar. The international moving companies have years of experience with moves to Gibraltar. Next to the subtropical climate with an average temperature of 18.6 degrees Celsius (71,2 Fahrenheit) Gabraltar has a lot to offer to you. The cost of living are middle compared to other places but lower than the popular areas in Andalusia. All services and goods are VAT free in Gibraltar. There are a lot of expats in Gibraltar working for British international companies. Both Spain and English are common languages in Gibraltar. The nightlife is great in Gibraltar but you also can visit the nearby cities in Spain.